The cylinders structure of this machine is unique. And it features mixing well-proportioned, high efficiency, no blind angle in the cylinders and no accumulation of materials. With simple structure, the machine can be operated easily and conveniently. 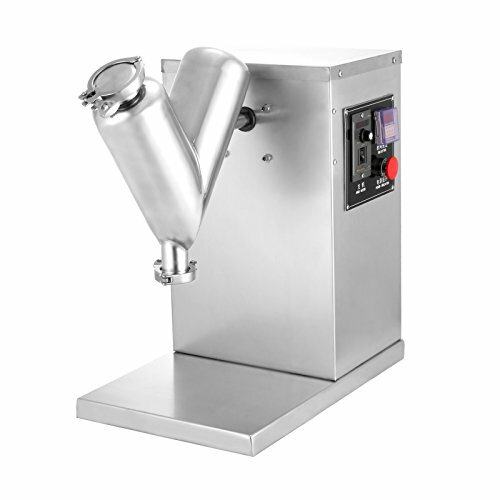 Additionally, VH Blenders are rugged in designed and construction, and all sections of contacting the material consist of high quality stainless steel, 304 S.S. (optional 316L) mirror polished of inner and outer shell to meet the GMP Standard. The parts that contact the material are all and singular made from high grade stainless steel in order to keep the purity of the mixed materials with diverse features. View More In Supports & Apparatus. If you have any questions about this product by Geindus, contact us by completing and submitting the form below. If you are looking for a specif part number, please include it with your message.